Lol. Such a bad attempt at maligning Obama. Unless it was sarcasm. Then upvote coming your way. I actually watched this happen live in pre-school. I was in high school. I remember it clearly. 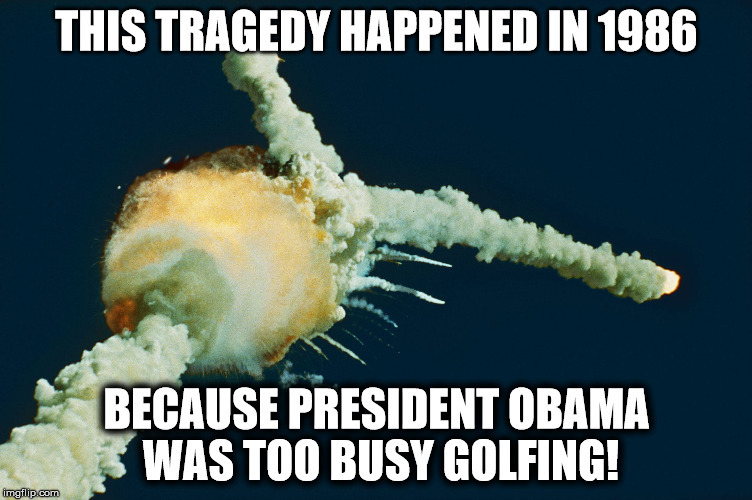 THIS TRAGEDY HAPPENED IN 1986; BECAUSE PRESIDENT OBAMA WAS TOO BUSY GOLFING!